Ethington Theatre’s 2016-17 season promises to be a smorgasbord of inspirational entertainment from the suspenseful whodunit that opens the season Sept. 2 to the wildly popular musical that closes it. 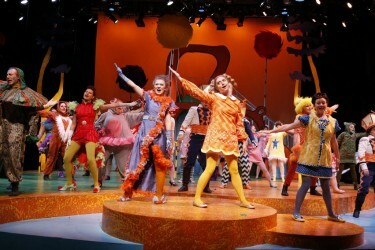 The 2016-17 Ethington Theatre season features two musicals, “Of Thee I Swing” and “West Side Story.” “Seussical” (pictured) was one of the smash hits of 2015-2016 season. If the productions are anything like the ones from the 2015-16 season, GCU staff, faculty and students are advised to get tickets early. You won’t want to miss the places the shows will take you — settings in England; Washington, D.C.; New England; Italy; and the streets of New York. You’ll want to experience the rousing singing and dancing numbers, riveting twists of fate and scenes that will make you laugh and perhaps weep. 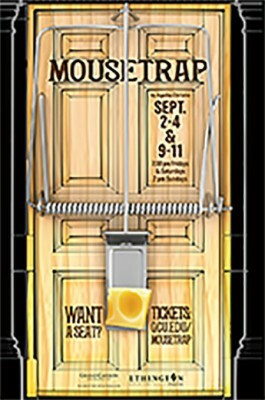 Sept. 2-11: “The Mousetrap,” written by Agatha Christie, is the longest-running play in history, Pensis said. It premiered at Theatre Royal in Nottingham in 1952 and is still showing in London today. Michael Kary will direct this thrilling murder mystery, which has enough turns to keep audience members at the edge of their seats and some fabulous lines penned by one of the grand dames of fiction. Oct. 14-23: “Of Thee I Sing,” both a musical extravaganza and political satire with a score by George Gershwin and lyrics by Ira Gershwin, will be directed by Pensis. The hilarious romp, which will run one month before the 2016 Presidential Election, lampoons the presidential election process. It features a candidate named “Wintergreen” who runs on a platform of “romance” and whose running mate’s name no one can remember. 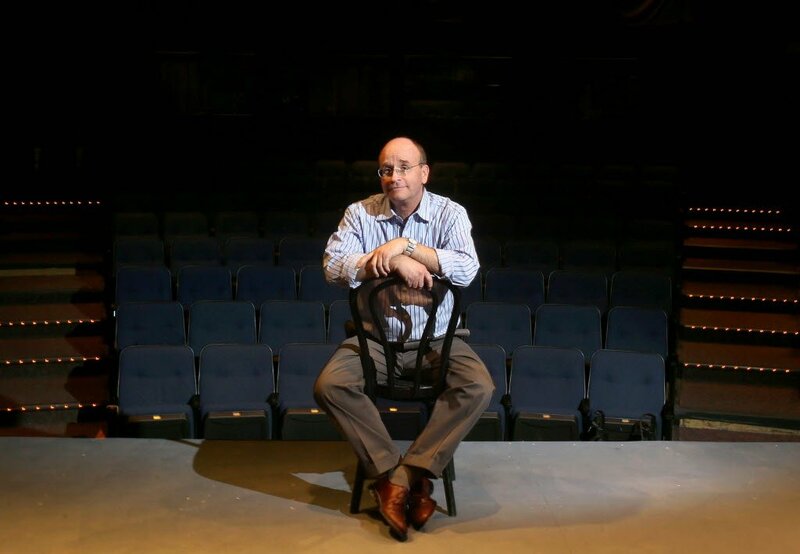 Nov. 18-27: “Our Town,” Thornton Wilder’s Pulitzer Prize-winning drama about the characters of a New England town “is about Americana as America can get,” Pensis said. Kary will direct this heartwarming sentimental journey. 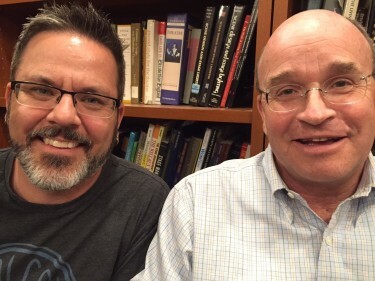 William Symington, COFAP’s assistant dean (left), and Pensis are excited about the next season. Feb. 10-19: “Two Gentlemen of Verona” is thought by some scholars to be one of the first plays by William Shakespeare. 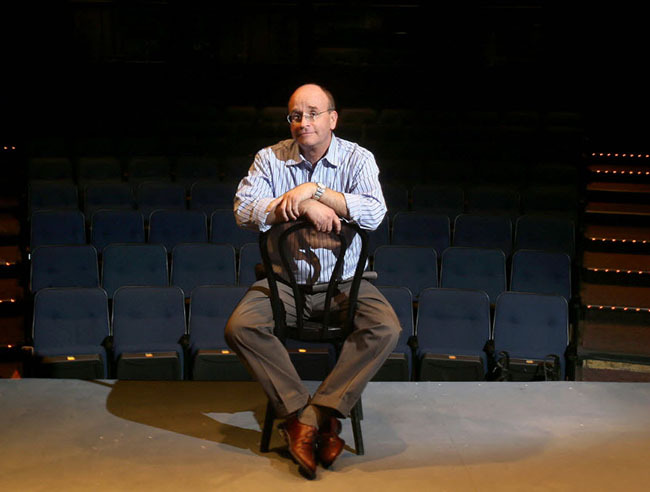 GCU alumnus Scott Campbell will return to direct this season’s annual nod to The Bard of Avon. March 31-April 9: “West Side Story,” one of the most memorable romantic musicals ever staged, was written by Arthur Laurents and is based on Shakespeare’s Romeo and Juliet. With lyrics by Stephen Sondheim and music by Leonard Bernstein, this Broadway smash has some of the most beloved songs, such as “Something’s Coming,” “Jet Song” and “Maria.” Pensis will direct this cautionary tale. “When artists work together each using their own unique talents and skills, whether it be in costuming, hair and makeup, sound, lighting, scenic design, properties, acting, direction or any other, they apply them, in the case of theater, to the playwrights work, and each of the works we do is unique, from Shakespeare, to George and Ira Gershwin, to Agatha Christie,” said William Symington, COFAP’s assistant dean and faculty scenic director. Spring Dance Concert performers created many “wow” moments. If you’ve never made it to the dance concerts at Ethington, you’d be amazed at the grace, athleticism and beauty of the student dancers, how their raw energy combined with choreographed fluidity creates a living art form like no other. It’s no wonder GCU’s dance program, under Susannah Keita, COFAP dance director, grows every year. Dec. 9-10: Winter Dance Concert, which this year is named “Impermanence,” Keita said. It reflects the ephemeral nature not just of dance, but of moments in our lives. What are those moments? They are subject to the interpretation of the choreographers. I’m so excited to see the great doings at Ethington! I hope to make a trip out to see “Of Thee I Sing” with the family. It’ll be nice to share some nostalgic memories with them!